Maryland-Style Crab Cakes are from a recipe handed down several generations. They’re the REAL DEAL! As a personal chef for almost 13 years, I’ve tried numerous crab cake recipes. In that period of time, none has been requested more than my dear friend Bea Smith’s Maryland-style crab cakes. These are the real deal! This recipe was handed down to Bea from her mother, who settled in the Baltimore area after emigrating from Europe. Bea’s mother learned to make crab cakes from the locals and Bea herself lived in the Baltimore area for much of her 90 years, so this recipe has deep authentic roots. A piece of advice Bea gave me about making crab cakes is you never want to add herbs, spices or other ingredients that will detract from the sweet flavor of the crab — crab cakes are all about the crab. She prefers only Maryland blue crab, but that’s not always easy to find in many areas. At the very least, try to use crab caught in U. S. waters. For uniform cakes, I like to mold them in a 1/3-cup measuring cup. I fill it about two-thirds of the way, invert onto a baking sheet, then gently tap the measuring cup on the baking sheet until the formed cake comes loose. A good chill in the refrigerator for 30 minutes will help them set up so they hold together better when browning. You always want to make sure your oil is hot before cooking. Placing them in oil that isn’t hot enough can cause them to be soggy and possibly fall apart. When the oil is shimmering and looks ready, add a pinch of the cracker crumbs or panko to see if they brown easily. If they do, then it’s time to add the crab cakes. To easily remember which crab cake went in first (which means it’s the first one you should turn), place the first one near the handle of the skillet or sauté pan, then work in a clockwise motion with the rest of the cakes. If you have room to cook one in the center, it would be the last one you place in the pan and subsequently, the last one you turn. 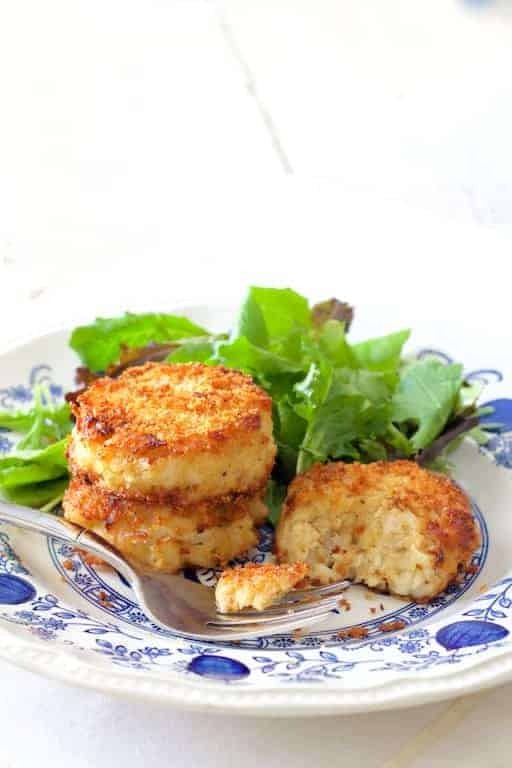 Bea doesn’t serve these crab cakes with a sauce, and my clients don’t request a sauce either, but you may enjoy a remoulade, tartar sauce or something as simple as a squeeze of lemon. These also make a great appetizer that you can prepare ahead of time in any size and brown just before serving. Fish and seafood cakes freeze and reheat very well so if you want to double the batch, you’re good to go! Maryland-Style Crab Cakes are from a recipe handed down several generations. They're the REAL DEAL! Heat butter in a skillet or sauté pan over medium heat. Add onion, reduce heat to medium-low and cook 8-10 minutes or until soft and light golden (do not brown). Transfer to a large bowl to cool. Stir in crushed crackers, dry mustard, Worcestershire, mayonnaise, egg, salt and black pepper and mix well. Fold in crabmeat. Form into 10-12 even cakes. Chill in refrigerator for 30 minutes. Coat cakes with cracker crumbs or panko. Heat canola oil in a skillet or sauté pan over medium-high heat. Working in batches, brown cakes 2-3 minutes per side or until nicely browned, adjusting heat as necessary to prevent over-browning or burning. Drain on a wire rack. Repeat with remaining cakes. MAKE AHEAD: Can be assembled refrigerated up to a day. Brown as directed. FREEZER-FRIENDLY: Brown as directed then cool. Place in an airtight freezer container and freeze up to 3 months. If you need to stack the cakes, place parchment paper or wax paper between the layers. Don’t know why it took me so long to sign up. I am also a member of APPCA and spoke with you on the phone about three months ago. 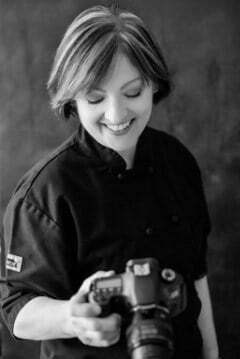 I also love cookbooks and have a collection from years past. I thought I had a sickness, but now I know I am normal. It is and was always a part of my destiny. I will be preparing the Maryland-Style crab cakes next week.